One of the main guests of the ESF 2010. Master shakuhachi player and a composer of contemporary music. He is the son of "national living treasure" Hozan Yamamoto. The biggest authority regarding old music of the Komuso monks. Player on extremely long and old shakuhachi. Associate professor at University of Fine Arts in Osaka. Shimura is also a researcher in the field of new media. He is one of the creators of the Cyber Shakuhachi. Master of Noh theatre, performer, playwright and propagator of Noh all over the world. Christopher is a regular guest in Prague. He is one of the top shakuhachi performers. 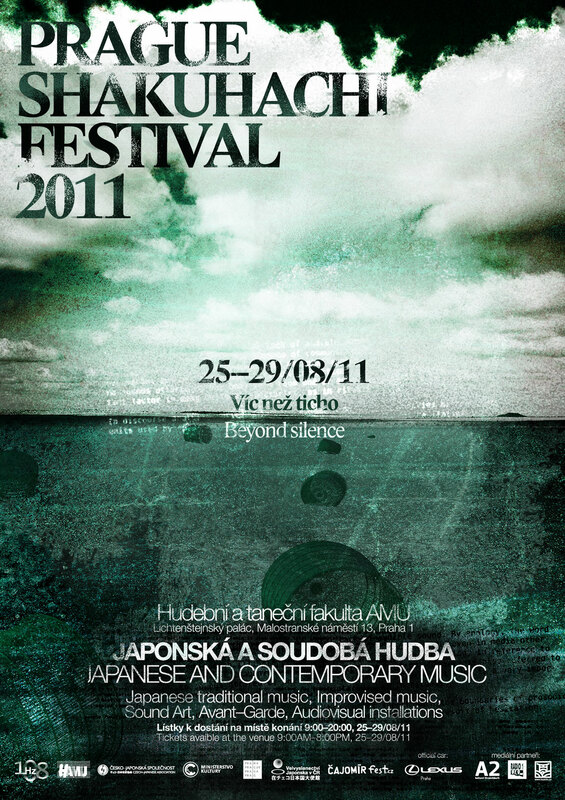 Thanks to his affection for Prague, we are now able to hold this festival. Exceptional composer of contemporary music, shakuhachi player and an ethnomusicologist. Jim is an outstanding composer and shakuhachi player. Jean-Francois is one of the best French shakuhachi players of the Tozan School. He has also mastered the concert flute and is currently teaching at Asnières and Le Kremlin-Bicêtre conservatory. Haruko is a skilled koto player, touring the world since 1989. Gunnar comes from Sweden and is a shakuhachi master of the Kinko Ryu. His passion for the instrument has taken him on important musical events all over the world. He is also author of many important texts about the shakuhachi. Kiku Day is a ­jinashi shakuhachi player from Denmark with Japanese, American, Russian, and Irish roots. She gave up her studies in classical Western music on flute to study honkyoku with Okuda Atsuya in Japan for 11 years.